Full Members are those members living in Europe, in Countries bordering Europe as well as Countries bordering the Mediterranean Sea. 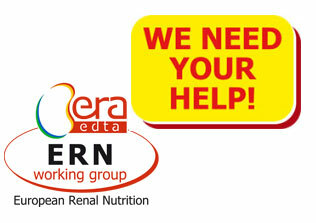 Included in their annual membership fee is a free online and/or print subscription to NDT (Nephrology Dialysis Transplantation) – not given/sent to members who pay the “Reduced Fee”; access to the protected libraries of the ERA-EDTA website (including ERA-EDTA CME Course Presentations); 35% discount OUP books; vote and being elected for office in ERA-EDTA Council and vote during the General Assembly. Associate Members are those members living in all the other Countries. They are entitled to the same benefits and discounts as the Full members except to vote and being elected for office in the ERA-EDTA Council or vote during the General Assembly (even if they are entitled to have voice during the General Assembly). They pay the same annual membership fees as Full Members. Both Associate and Full members who are up to the age of 40 can apply for Junior membership status. This allows them to receive all the advantages described above, including a free online subscription to NDT, by paying a special annual membership fee of EUR 40.00. See more details at the "Membership Fees" webpage. Junior membership ends at the end of the 40th year. This is a special paying category of ERA-EDTA membership. All those members who, for one reason or another, do NOT wish to receive a subscription to the NDT Journal (print and/or online), can pay the “Reduced Fee” (= EUR 70.00). 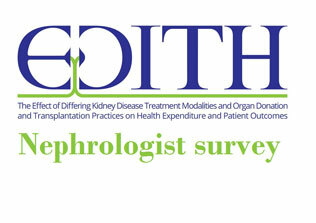 They will receive all the membership benefits except the subscription to the NDT Journal. Afghanistan, Albania, Algeria, Angola, Armenia, Azerbaijan, Bangladesh, Belarus, Belize, Benin, Bhutan, Bolivia, Bosnia and Herzegovina, Botswana, Bulgaria, Burkina-Faso, Burundi, Cambodia, Cameroon, Cape Verde, Central African Republic, Chad, Colombia, Comoros, Cote d’Ivoire, Democratic Republic of Congo, Democratic Republic of Timor-Leste, Djibouti, Dominica, Dominican Republic, Ecuador, Egypt, El Salvador, Eritrea, Ethiopia, Fiji, F.Y.R. of Macedonia, Gabon°°, Gambia, Georgia, Ghana, Grenada°, Guatemala, Guinea, Guinea-Bissau, Guyana, Haiti, Honduras, India, Indonesia, Iran, Iraq, Jamaica, Jordan, Kazakhstan°°, Kenya, Kiribati, Kosovo*, Kyrgyz Republic, Lao People’s Democratic Republic, Lesotho, Liberia, Libya°, Madagascar, Malawi, Maldives°, Mali, Marshall Islands, Mauritania, Mauritius°, Mexico°°, Micronesia, Moldova, Mongolia, Montenegro, Morocco, Mozambique, Myanmar, Namibia, Nauru°°, Nepal, Nicaragua, Niger, Nigeria, P.R. of China, Pakistan, Palestine, Papua New Guinea, Paraguay, Peru, Philippines, Republic of Congo, Rwanda, Samoa, Sao Tome and Principe, Senegal, Serbia, Sierra Leone, Solomon Islands, South Africa, South Sudan, Sri Lanka, St. Lucia, St. Vincent and the Grenadines, Sudan, Suriname, Swaziland, Syria, Tajikistan, Tanzania, Thailand, Togo, Tonga, Tunisia, Turkmenistan, Tuvalu, Uganda, Ukraine, Uzbekistan, Vanuatu, Venezuela, Vietnam, Yemen, Zambia, Zimbabwe. 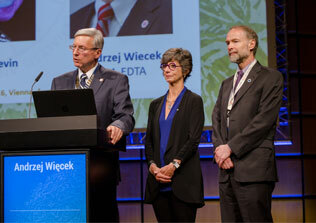 Both Associate and Full members who have been so for more than 15 consecutive years, who have reached 60 years of age and who have retired from practice, can become a Senior Member of the ERA-EDTA. 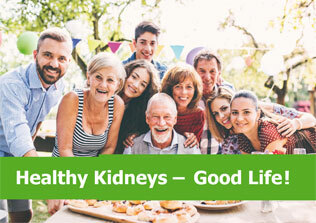 To see the full list of the Senior Members benefits as well as the instructions on how to apply, click here. Please notice that Senior Membership status is NOT given automatically, but must be requested by each member if he/she is interested. 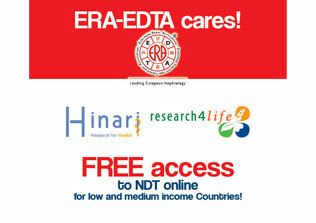 To view all the ERA-EDTA Senior Members click here. Honorary membership may be conferred on individuals whom the Council considers worthy of this privilege on the ground of outstanding contributions to the field of interest of the Association.